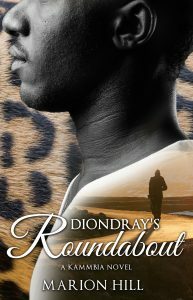 I was asked to read and review two books for Black History Month and here’s the review of the first book. It is Meji Book One by Milton Davis. 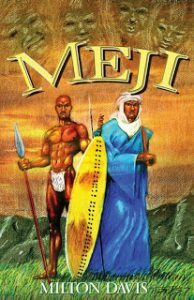 Meji Book One is an epic fantasy in the style of Conan or Tarzan in an African inspired setting. It was a solid story about twin brothers, Ndoro and Obaseki, separated at birth and the paths each one will take to connect with one another. Meji Book One is set mostly in the Sesu grasslands on the continent of Uhuru where Dingane, the king rules over a vast empire. One of Dingane’s wives, Shani, bears him twin boys considered to be a damnation amongst the Sesu but a blessing to Shani’s people, the Mawena. The story splits between the activities of the twin boys and how they each grow into manhood. It is a fast paced, page turning novel. However, I thought they were a few uneven spots that could have made the novel more cohesive. But, I was interested in each brother’s respective journey (especially Obaseki, the mystic) and I’m looking forward to reading the second and final book of their story. Recommended for epic fantasy and adventure fiction fans.